Preheat a fan forced oven to 210C. 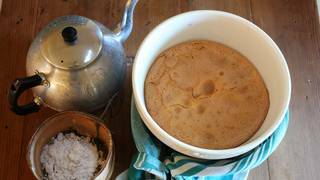 To make the pastry, blend the flours, icing sugar and diced butter in a food processor for approximately 30 seconds or until well combined and the mixture resembles breadcrumbs. Add the egg yolk and iced water and, using the pulse button, process until the mixture starts to come together. 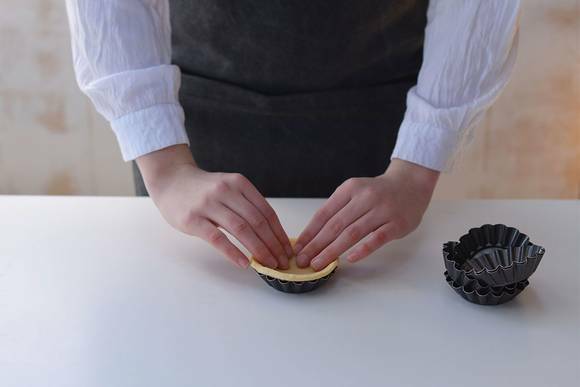 Shape the pastry into a disc, wrap in plastic film and refrigerate for 1 hour. Lightly grease 6 x 6cm flan tart tins and set aside. 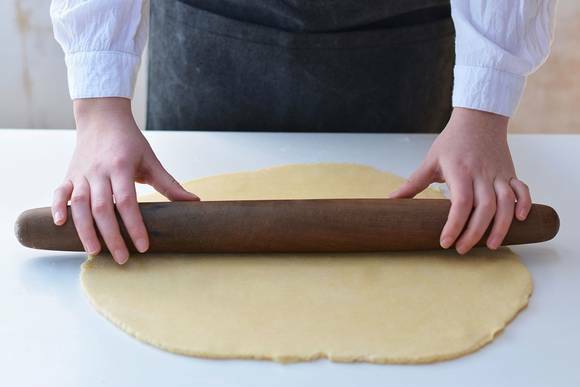 Roll out the pastry to 3mm thick on a lightly floured work bench. 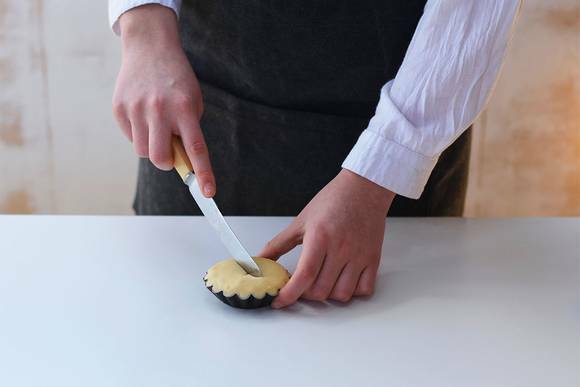 Cut 6 x 7cm round discs of pastry and gently press to line the tart tins, then cut 6 x 6cm discs of pastry for the lids and set aside. 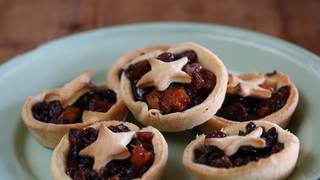 Spoon the fruit mince from the jar evenly into each tart base and then place the pastry lid on top and press down the edges to seal. 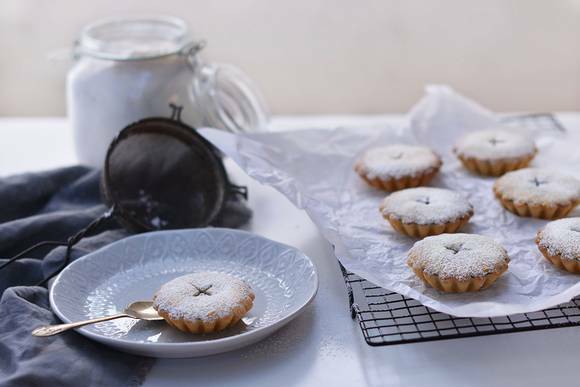 Trim any excess pastry from around the edge and place two small cuts in the top of each tart to form an ‘x’. 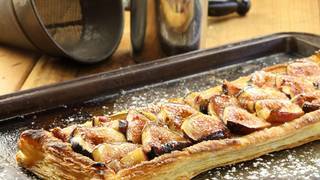 Place the tart tin onto a baking tray and place into the preheated oven. 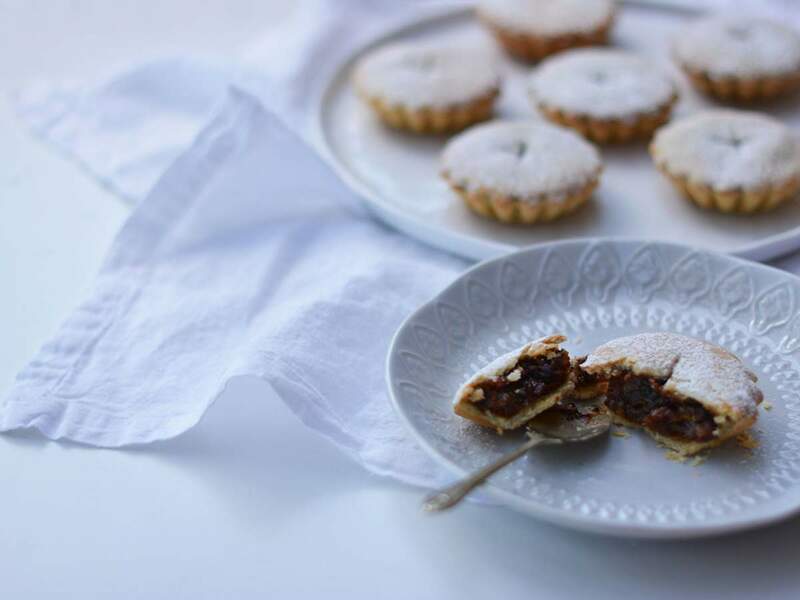 Bake for 12 minutes, then remove from the oven and allow to cool in the trays before removing, as the pastry is quite delicate. 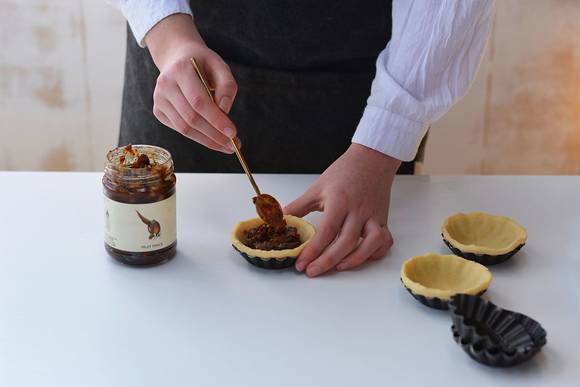 If you are using larger tart tins you will have to bake the tarts for a longer period of time for the pastry to reach a golden brown colour.